This is a USA pottery frit. 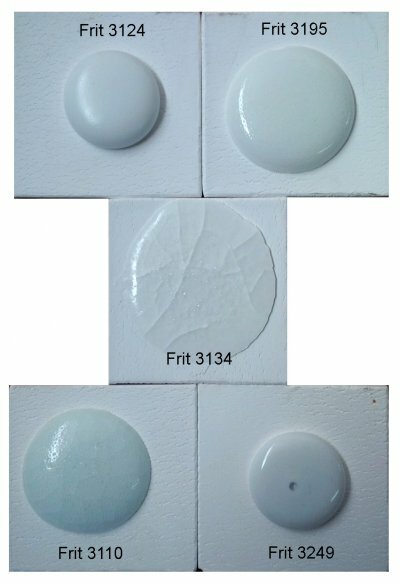 Ferro now calls it Frit 3195-2. Like Frit 3124, this can be a complete cone 06-02 leadless glaze with the addition of a little kaolin to suspend. Adding more kaolin and silica will produce glazes suitable for higher temperatures. Substitute in some Frit 3110 if glazes shiver or 3249 if they craze. 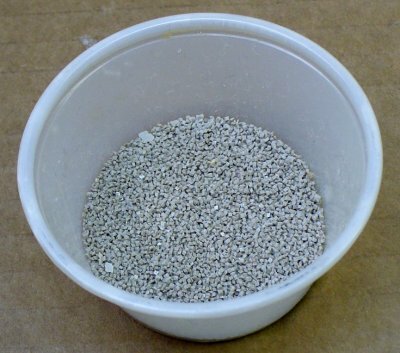 If used in too high a percentage, this frit can push the boron too high for use in underglaze colors. A chart from Ferro 1962 listed Na2O 10.3, B2O3 15.8. Stoneware from your terra cotta body? Is is very possible. 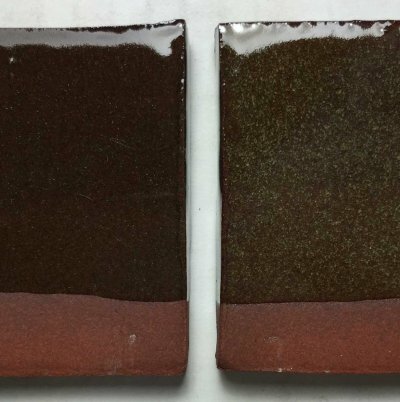 Some terra cotta clays can be used to produce stoneware by firing them a few cones higher. Terra Cottas are almost always nowhere near vitrified at their traditional cone 04-06 temperatures, so they can often stand much higher firing. However, clear glazes do not usually work well in higher firing since products of decomposition from the vitrifying body fill them will micro bubbles, clouding the surface. In addition, the body turns dark brown under clear glazes. 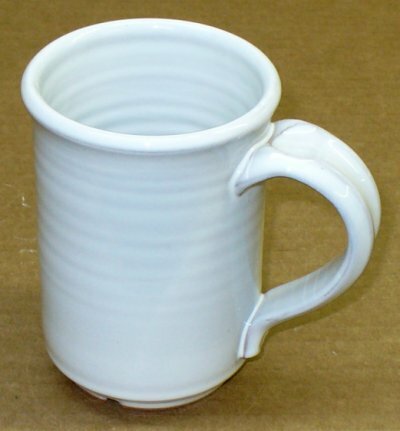 But with a white glaze, these are not a problem. This is Plainsman L210 fired to cone 2. The glaze is 80% Frit 3195, 20% kaolin and 10-12% zircopax, it fires to a brilliant flawless surface. These bowls are fired at cone 03. They are made from 80 Redart, 20 Ball clay. 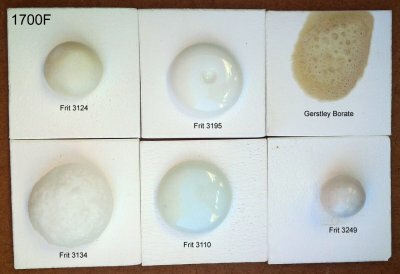 The glazes are (left to right) G1916J (Frit 3195 85, EPK 15), G191Q (Frit 3195 65, Frit 3110 20, EPK 15) and G1916T (Frit 3195 65, Frit 3249 20, EPK 15). The latter is the most transparent and brilliant, even though that frit has high MgO. The center one has a higher expansion (because of the Frit 3110) and the right one a lower expansion (because of the Frit 3249). Yet all of them survived a 300F to icewater IWCT test without crazing. This is a testament to the utility of Redart at low temperatures. A white body done at the same time crazed the left two.